This entry was posted in Podcasts and tagged The Rock N Roll Blather Show on January 23, 2016 by Maqlu. This entry was posted in Podcasts and tagged The Rock N Roll Blather Show on January 16, 2016 by Maqlu. This entry was posted in Podcasts Videos and tagged The Rock N Roll Blather Show on January 9, 2016 by Maqlu. This entry was posted in Podcasts Videos and tagged The Rock N Roll Blather Show on January 2, 2016 by Maqlu. This entry was posted in Podcasts and tagged The Rock N Roll Blather Show on December 26, 2015 by Maqlu. 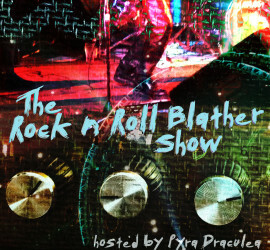 This entry was posted in Podcasts and tagged The Rock N Roll Blather Show on December 23, 2015 by Maqlu.